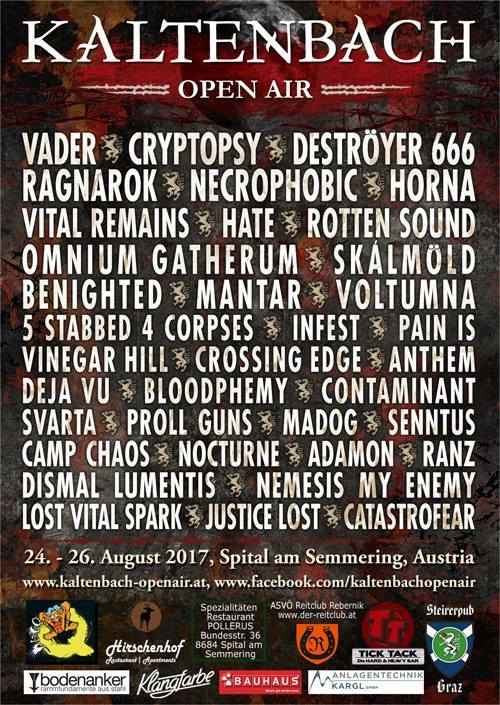 Maryland Deathfest will take place in Baltimore MD, USA on May 24-27, 2018. Satyricon, Bloodbath and My Dying Bride are among the bands that will perform at Maryland Deathfest festival. Desertfest Antwerp 2017 will take place at Trix in Antwerp, Belgium on October 13-15, 2017. 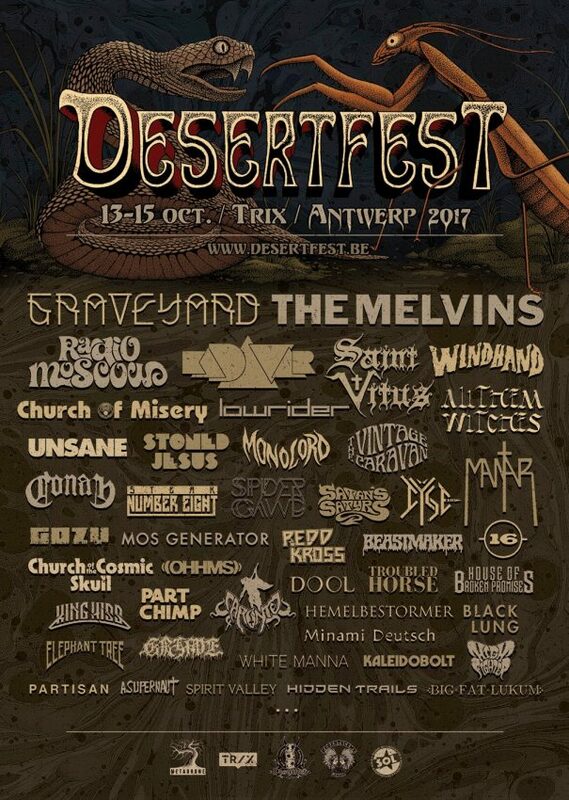 Saint Vitus, Graveyard and Church Of Misery are among the bands that will perform at Desertfest Antwerp 2017 festival. 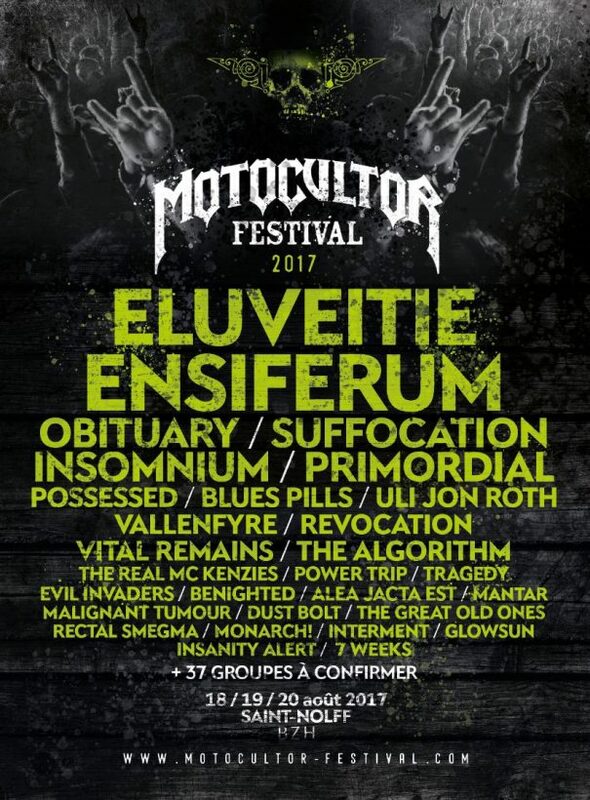 Motocultor Festival 2017 will take place in Saint-Nolff, France on August 18-20, 2017. 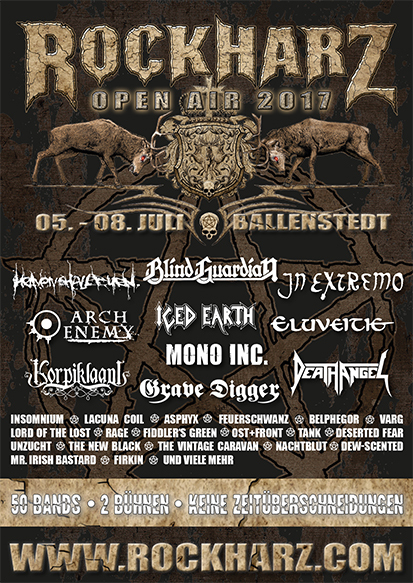 Obituary, Suffocation and Primordial are among the bands that will perform at Motocultor Festival 2017. Resurrection Fest 2017 will take place in Avenida Ramón Canosa, 27863 Vivero, Galicia, Spain on July 5-11, 2017. 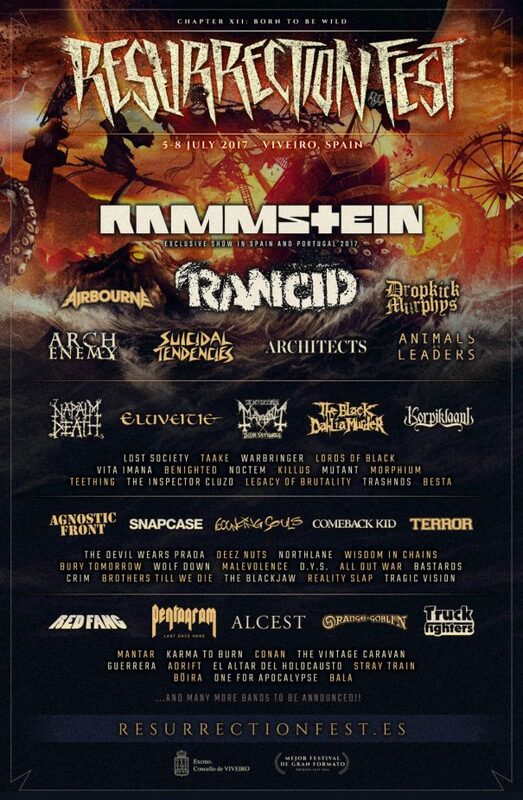 Rammstein, Mastodon and Dropkick Murphys are among the bands that will perform at Resurrection Fest 2017. Devilstone 2016 will take place in Anykš?iai, Lithuania on July 14-17, 2016. Tuska Open Air 2016 will take place at Suvilahti in Helsinki, Finland on July 1-3, 2016. Ghost, Children Of Bodom and Kvelertak are among the bands that will perform at Tuska Open Air 2016 festival. Vagos Open Air 2016 will take place at Quinta da Marialva, Av. Vale de Milhaços, 129 2855-389 Corroios, Portugal on August 5-6, 2016. Opeth, Kreator and Anthrax are among the bands that will perform at Vagos Open Air 2016 festival. California Deathfest 2016 will take place at Oakland Metro Operahouse in Oakland, CA, USA on October 14-16, 2016. Hooded Menace, Black Breath and Birdflesh are among the bands that will perform at California Deathfest 2016. Out & Loud Festival 2016 will take place at Scheinfelder Straße 15 in Geiselwind, Germany on July 8-10, 2016. Kreator, Within Temptation and Powerwolf are among the bands that will perform at the Out & Loud Festival 2016 festival.